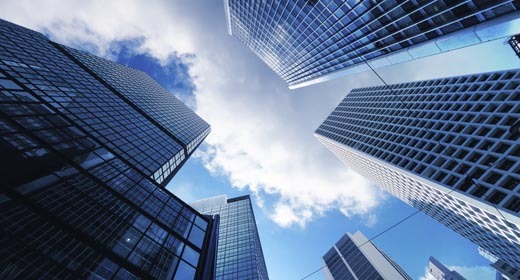 Real Estate is a part of the corporate Financial Services (FS) industry that is still heavily based on relationships. The need to appear all-seeing and all-knowing is imperative, and account handlers must understand a client’s business, potential future requirements and the wider market that client operates in. Not only that, but they must also be able to use that knowledge and insight to recommend the best deals and opportunities for each client. There is a real focus on the customer experience. A real estate firm’s clients want to feel like they are valued and that they are being told about the best deals ahead of their competition. In a world in which there is more data and information available than at any other point in time, how can real estate corporate financiers gain the required client and market insight to stay ahead of the competition? It’s no exaggeration to state that there is more data in real estate than most in the industry can even contemplate, let alone use in any meaningful sense. The volume of data is growing on a daily basis and many organisations are failing to use even a fraction of the data available to them. According to the recent 2017 Big Data Analytics Market Study from Dresner Advisory Services, big data adoption reached 53% in 2017 for the companies interviewed. This was up from 17% in 2015, with telecom and financial services leading the early adopters. This is a positive step, but it still means that most insight is being missed in corporate FS generally, and real estate specifically, making it harder for organisations to truly know their clients. The reason for this missing insight is because most data analysed currently is structured, whereas the data with most insight is unstructured, such as: news; earnings call transcripts; social media; multiple CRM systems; financial filings; call notes and email exchanges. Although this is where the true insight lays in real estate, a majority of CRM systems work only with structured data. CRM giant Salesforce itself has estimated that only 1% of a company’s data is used by its CRM system, meaning that vast amounts of customer insight in real estate is left untapped. In retail banking, technology is used for automation of tasks and interactions, where the goal isn’t to make staff more valuable, it is to replace them. That approach doesn’t really work in the relationship-driven environment of real estate, where the focus for technology is to help staff be more efficient and manage lucrative client relationships much more effectively. Yet corporate FS firms are not known for their ability to embrace innovative new technologies. There is an inherent conservatism in banking that means change can be hard to facilitate and often organisations are tied into their existing infrastructures, making new investment in technology even harder. This has all led to many corporate FS staff trying to do a challenging job without the insight and knowledge to do that job to the best of their ability. Despite a lot of hype and press attention, artificial intelligence (AI) and machine learning are yet to truly reach their potential. But it has qualities that make it the right kind of technology for real estate, and one that can deliver ROI by imparting the required insight to those that work in the industry. AI has the raw computing power to manage large volumes of data, and crucially, the right AI solution will allow corporate FS firms to manage unstructured data too. Doing so provides a true understanding of exactly what is happening in a market, and allows an account handler to be the all-knowing advisor that their clients expect. This understanding deepens customer insight and in turn, customer relationships. This market understanding allows the corporate financier to unearth new leads and deals as they happen, opportunities that they otherwise would not have known existed. Crucially, they can also now approach clients in a much timelier way. Within real estate there is tremendous first mover advantage, and using AI and machine learning to generate 360-degree views and understanding of a client and its market, means corporate financiers can approach clients before the competition can. Real estate is an industry that is both fast-paced and highly competitive. There are a host of other corporate financiers ready to pounce on any hesitation around a deal, and the importance of being first to approach a client cannot be underestimated in a billion-dollar industry such as real estate. Customer experience is everything and to deliver that customer experience, real estate corporate financiers need an over-arching knowledge of their clients and the wider industry. Only AI and machine learning can empower them with the insight they require to succeed and grow their long-term market position.